If the time has come to get a new roof for your home, you might like to consider the option of metal roofing. This important improvement project is something most long-time homeowners will eventually have to undertake, and choosing the proper roofing material should not be taken lightly. A functioning roof will protect your home from harsh outdoor elements like rain and snow and ensure its structural integrity. Asphalt shingles are common, but the one type of covering that is catching the eye of an increasing number of homeowners is metal roofing. "Metal roofing is gaining in popularity," reports Todd Miller, president of Isaiah Industries in Piqua, OH. It had a 14% market share in 2016, up from 11% the year before, according to FW Dodge. Only asphalt shingles outpace metal in the remodeling market. In terms of style and utility, metal roofing gives any other material a run for its money, but does it suit your home (and budget)? 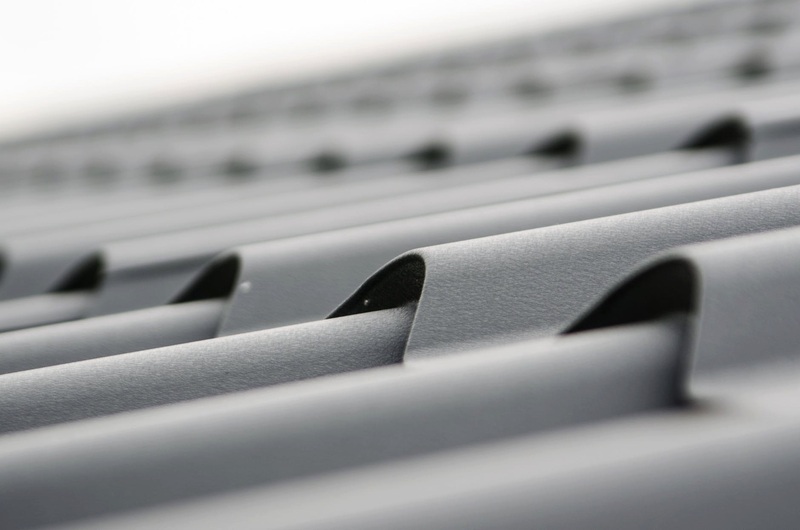 Take a look at the best and worst things about metal roofing before you commit to it. Metal roofs are by far one of the most durable, typically lasting 50 years or more, says Andrew Hecox, owner of Air Capital Roofing and Remodeling in Wichita, KS. "Rubber and asphalt shingles are fine for 15 to 20 years, but they'll deteriorate over time, due to weather, wind, heat, insects, and rodents," says Cedric Stewart, a real estate agent with Keller Williams Capital Properties in Washington, DC. And metal won't corrode, crack, or catch sparks and ignite into flames from a lightning strike. "Metal roofing also doesn't need periodic costly maintenance, like other materials," says Lonnie Hagen of Accent Roofing and Construction in Dallas. The pitter-patter of raindrops may be soothing for some homeowners, but on a metal roof, the noise factor can be a serious drawback. The good news is that there are ways to mitigate the sound—but you'll have to pony up. Materials can be installed to reduce the drumming effect for an additional fee. "Metal roofs can cost three times more than other materials," says Hagen. According to HomeAdvisor, the average cost of installing asphalt shingles is $3,700, while metal roofing costs around $7,795 to install. Not every metal roof has to be boring brown or ho-hum gray. In fact, you have nearly the entire rainbow to choose from. You can also order metal roofing to look like wood shakes, slate, tile, or standard fiberglass shingles, says Miller. "This allows owners to match their home's architectural style," he notes. If you live in a place with extreme weather, you should know that metal roofs are hail-resistant—but a violent storm can still dent them, says Hecox. Your roof will protect your home, but insurance companies may not compensate you for the repair of cosmetic damage, he adds. Aluminum or copper, while stylish, are soft metals that are more likely to experience denting. Who doesn't want to save on heating and cooling costs? "This type of roof reflects solar radiant heat, which can reduce cooling costs by up to 30%," says Hagen. And if you're thinking of installing solar panels, having a metal roof is recommended, says Reba Haas, a real estate agent in Seattle. "Metal is the best material to have underneath panels, because it's lighter than asphalt construction," Haas says. Green builders or eco-friendly homeowners will be happy to know that metal roofs contain anywhere from 25% to 95% of recycled materials and are also 100% recyclable, Hagen says. You love the look, but your neighbors ... not so much. There are newer home subdivisions and homeowners' associations (HOA) that don't allow this type of roof in their communities, so check your HOA's bylines before you start the project. Don't be alarmed if your contractor does a happy dance when you say you've chosen metal roofing. "[It's] lightweight and comes in panels, which can be cut to exact dimensions—all of which make installation easier than other materials," says Hecox. And you can sometimes place metal over existing shingles, which cuts down on the costs in time and labor of removing the old roofing, he adds. Metal is also easier to install on a steep pitched roof, again, because the panels are larger than individual shingles, says Haas. That versatility makes it ideal for houses of all shapes and sizes.